In the wake of the successful hunger strike initiated by veteran political stalwart Wimal Weerawansa, it has now been revealed that he would be cast as the lead in the next Hunger Games movie sequel. Sources close to Wimal Weerawansa have further stated that in preparation for the role he will be consuming a diet consisting only of rain water & Munchee Lemon Puff. Producers of the movie are now in a mad rush to rewrite the protagonists’ character Katniss Everdeen in order to better accommodate Weerawansa for the role and fast track it for a December release. 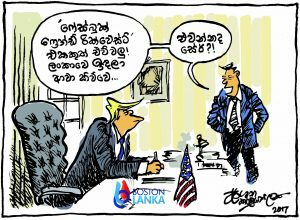 දුලානි සුගත්ට බෑ කීවෙ ඇයි?